This Tighe Breaker Integral flippermodel has a CPM-S30V stainless steel blade with a compound grind. Based on the Tighe Breaker Integral custom, this mid-tech series from Brian Tighe & Friends presents the design in a more affordable format. 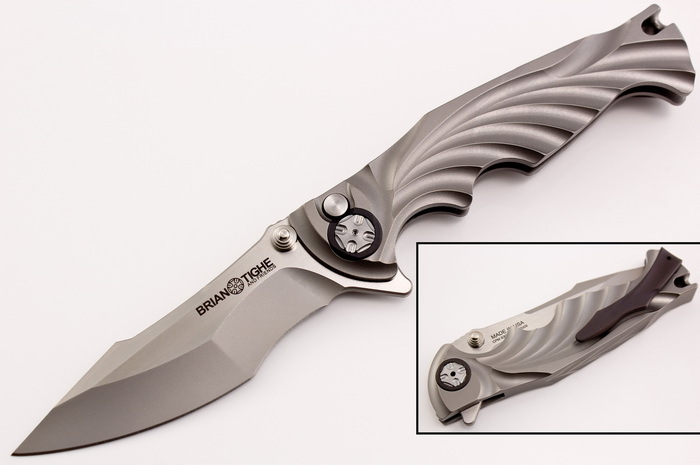 The Tighe Breaker Integral sports a fully integral titanium handle, machined from a solid block of Titanium with fluted patterning and a lanyard hole.